So with the release of Arkham Asylum 2, Mark Hamill, the voice of the Joker, says it will be his final performance as The Joker. 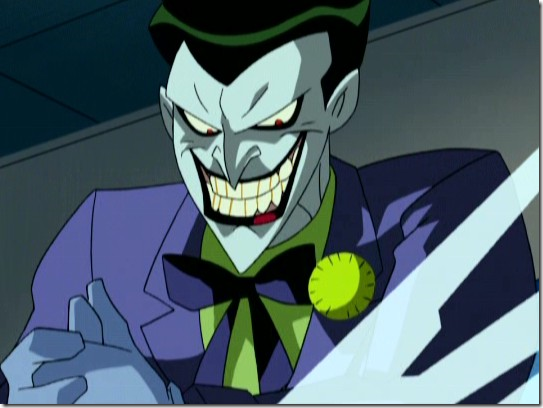 Hamill has been playing Joker, for about 17 years now, when he first took the role on Batman: The Animated Series. I can understand after playing a character for so long, wanting to move on. He's played the Joker longer then the role most people associate him with (if you don't know who that is, please leave the Internet). However, I am going to just say that out of all the Jokers, Mark Hamill's version is probably the one I most associate with the Joker. When I read a Batman comic, and Joker pops up, it's not Jack Nickelson, or Heath Ledger's voice I hear in my head, it's Hamill's. In fact, I wish they would get him to be Joker in the next live action Batman. Hear me out. I don't think we should ever SEE Joker on screen again, but I think Hamill could provide his voice off screen, in the shadows of Arkham giving out orders, or concocting a bigger scheme. He'd have to tone down the voice a little to be less cartoony, but I think it could work. No one else could replace Ledger's version of the character so why not give the voice at least to someone we all know does a great job with it. Hell, I'd even like to hear Kevin Conroy dub over Christian Bale's horrible horrible grizzly bear voice when Batman is in the suit. Life Size Eva Head at Fuji-Q Highlands!